There hasn't been a new baby in our family in almost four years. 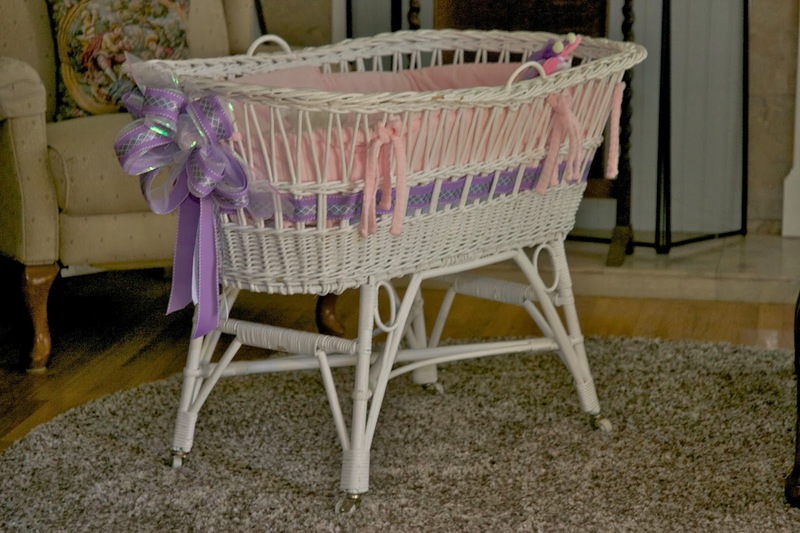 But, at the end of April, our eighth grandchild will be arriving, and when she enters the world she'll be lovingly welcomed to our side of the family by her parents, grandparents, aunts, uncles, cousins and a precious item that has been in the family since 1906: the family bassinet. As I look at this cherished family heirloom, I wonder about all the nurseries that is has been a part of; the babies it has held; and, the many miles that it has traveled before it ended up here on the west coast. It started cradling babies when my second cousin, Francis, was born in New Bedford, MA in 1906. When his sister, Mary, came along in 1910, she spent her first days in it. Then, when my Mom, Beatrice, was born in 1913 it became a part of our side of the family. There isn't anyone left in the family who can remember where it stayed for many years. My brothers and I were never in it, but when I lived in Merrick, NY in 1952, I remember it in our basement. I can still see it nestled in a corner, along with bits and pieces of other furniture. I never really paid much attention to it, and certainly never realized that it would become such an important part of my life as a grandmother! 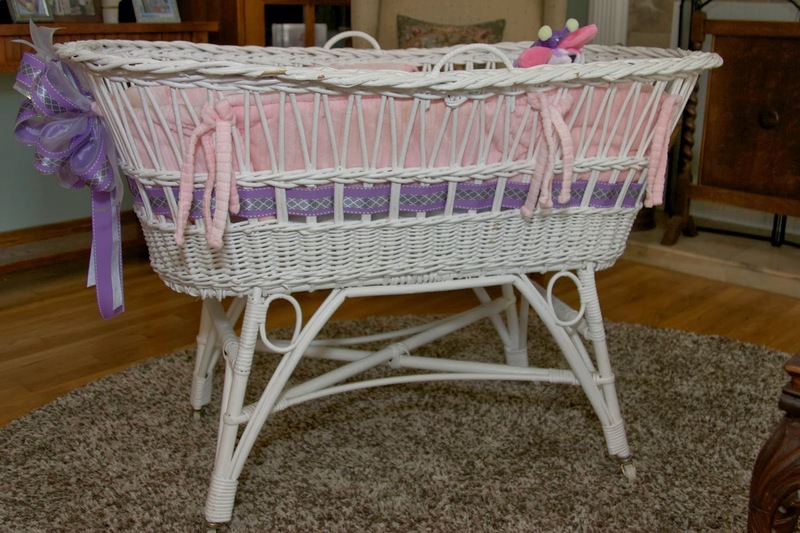 There was one time when this bassinet made an appearance. I vividly remember an old family movie showing my aunt and uncle trying desperately to fit it into the trunk of their late 1940's Mercury. I imagine they wanted to get it up to Cape Cod for the birth of my cousin, Karen, their first grandchild, in 1952. It was a hilarious film clip as they twisted and turned the bassinet to no avail; no way would it fit, and back to the basement it went!! I didn't have access to the bassinet until 1982. My daughters, born in 1974 and 1977 never got to be in it because it was back in Georgia with my brother. 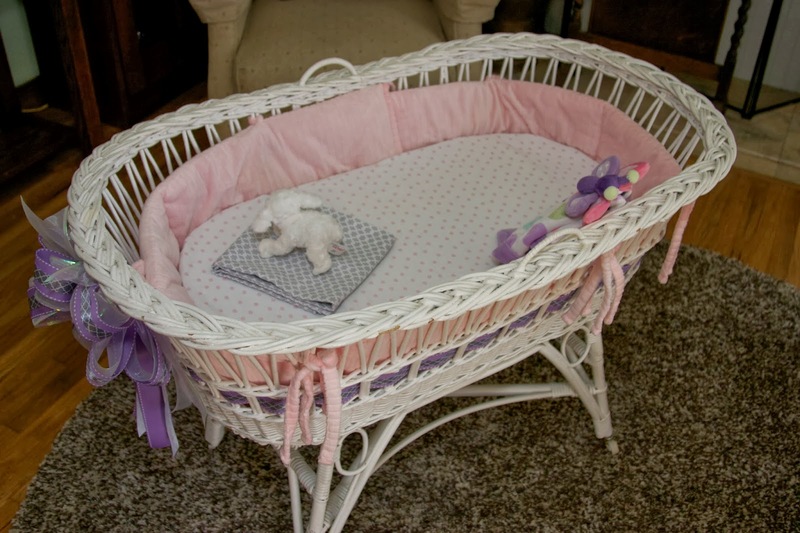 When he went through a contentious divorce, my Mom, who was in California with me, had only one request of my brother: " Be sure and get the bassinet!" It took a Sheriff, but the bassinet made it out of his former house, and onto the moving truck when he AND the bassinet joined us out in California!! It then stayed in my Mom's apartment until her death in 1988, when it became mine. 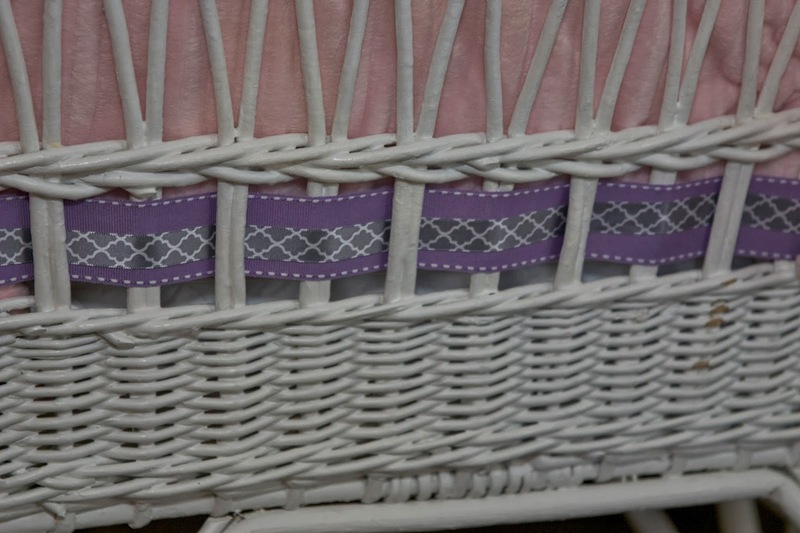 In 2005 when our first granddaughter was soon to be born, I took it to a wicker refurbisher who made it look like it must have looked in 1906! He also explained that it was actually willow, not wicker. 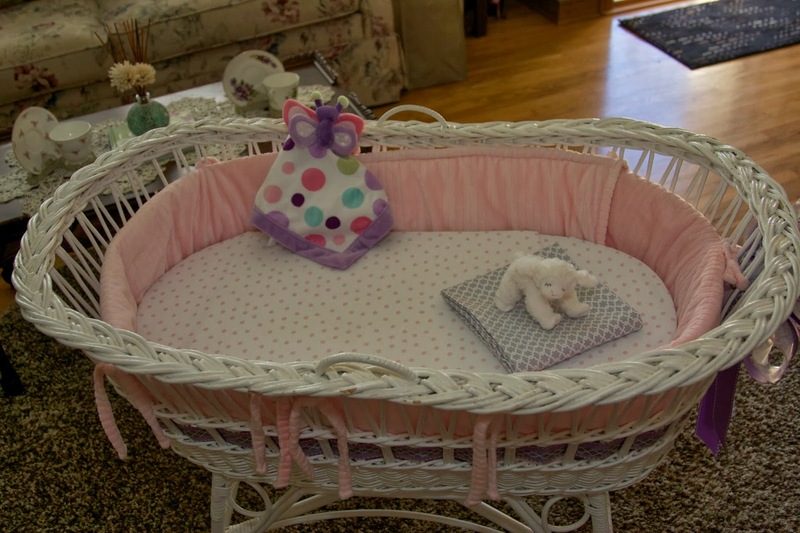 Since that time five of my seven grandchildren have spent their first months in this bassinet. 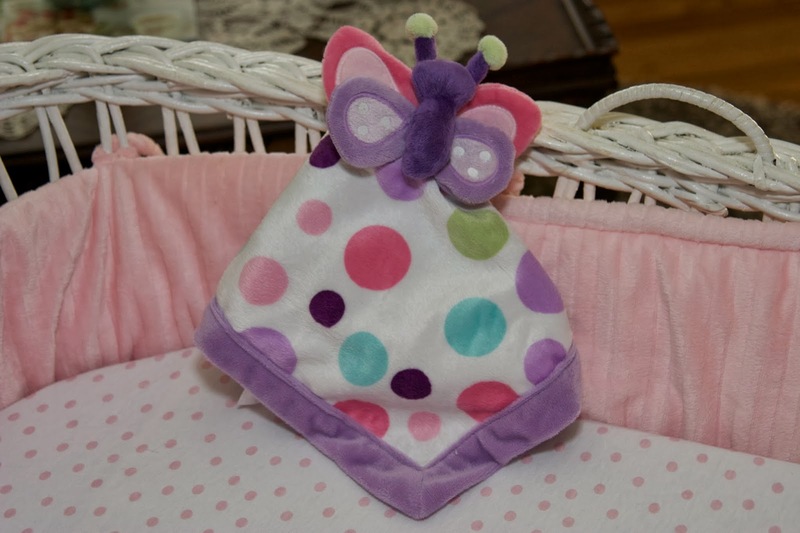 I just finished getting it ready for the next grandbaby. 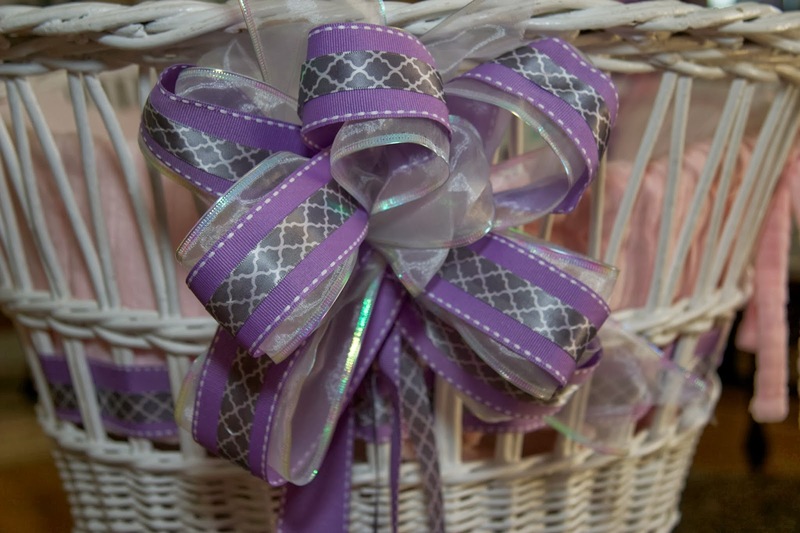 The ritual is always the same: a good wipe down; a new mattress, bumper and sheets; and, woven ribbon in the nursery colors that the mommy-to-be has chosen. This precious heirloom will be at my daughter's baby shower in a couple of weeks and then it will lovingly hold another member of the family who will be a part of the list of family members who have cooed and dreamed in it during their first few months on earth. I'm hoping that my grandchildren will continue the tradition. 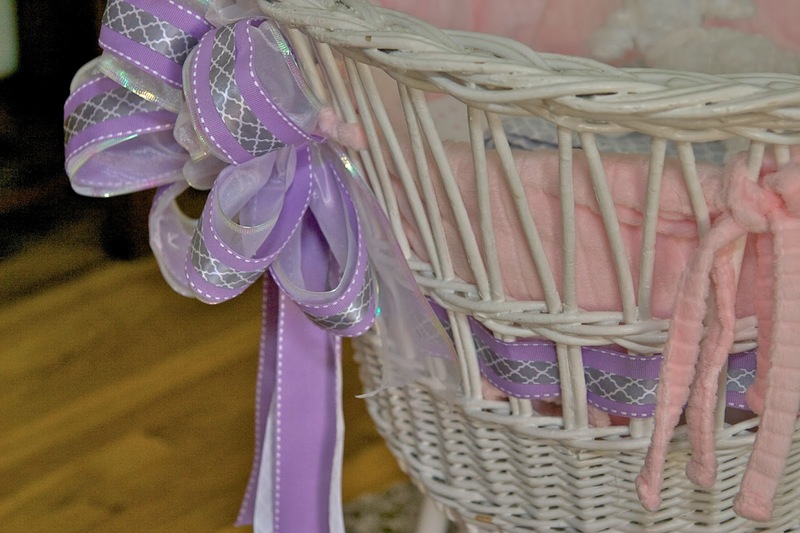 I'd like to think that the next generations of our family will be linked together in such a special way, and that this bassinet will be around even longer than it has been already: 108 years and counting!! and Dawn at www.wecallitjunkin.com for her History Home and Link Party. Thank you, ladies, for hosting! 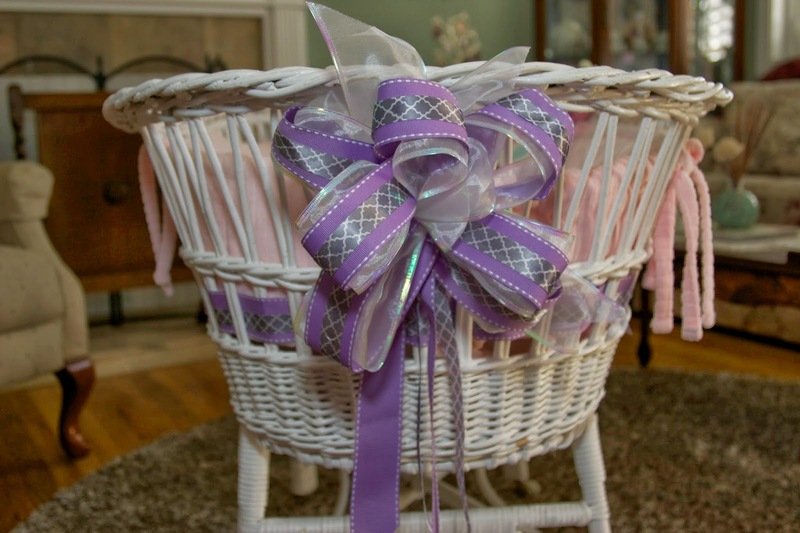 Rosie, that is one very special bassinet! What a cherished piece! I'm so glad it didn't get lost forever in the divorce. It so wonderful how you've lovingly prepared it for the next baby it will cradle. Lovely story! but the family bassinet had been destroyed before their arrival. 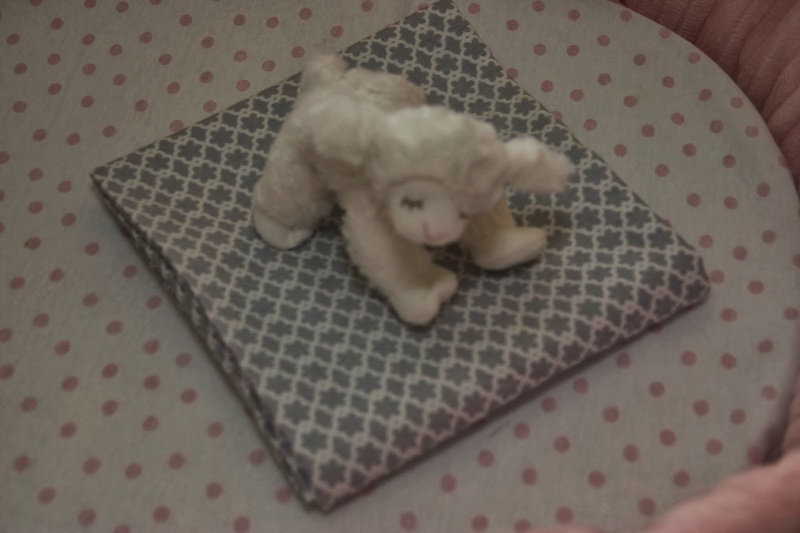 I adore the Lamb within the bassinet! Thank you for your sweet comment and recent visit! This is fantastic!! I enjoyed the history of this beautiful heirloom, every bit of it. This is a treasure if I ever saw one. Enjoy those grandbabies. What a beauty this is! And a great story too!! Love it!! Thanks so much for your visit and your kind words!! Oh I love it! What a precios heirloom and I had one just like it for my two daughters. I love basinetts, I dressed it up myself! Love the story behind it! Have a happy Mother's Day. It's Time for Corned Beef and Cabbage!